Tell Your Rep: Do Not Vote for Patriot Act Reauthorization! This year, Congress has a real opportunity to push through substantive NSA reforms. You may have read that the Patriot Act will expire this year but that’s not entirely true. Instead, a few provisions will sunset on June 1st. The most notable is Section 215. This is one of the most controversial provisions of the Patriot Act which has given the NSA the authority to collect call records made by every American, without a warrant or even a suspicion of wrongdoing. FreedomWorks does not support a reauthorization of Section 215 as it currently stands. The bulk collection of Americans’ telephone records is a clear violation of the 4th Amendment. The issue of protecting civil liberties has united people from across the political spectrum. Rep. Jim Sensenbrenner (R-Wis.) and Rep. John Conyers (D-Mich.) have circulated a letter to House leadership saying that they will not vote for a “clean” reauthorization of Section 215. 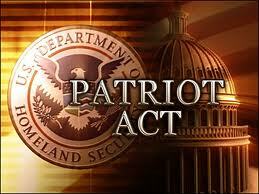 Three provisions of the USA PATRIOT Act are set to expire on June 1, 2015. One of those provisions – Section 215 – has been used for years by the National Security Agency to collect the domestic phone records of millions of innocent, law-abiding Americans. We believe strongly that the intelligence community should have the necessary tools to protect our nation against terrorism. However, we also believe strongly that such tools must be appropriately targeted to ensure the protection of Americans’ privacy and civil liberties. Accordingly, we will not vote for a “clean” reauthorization of Section 215 of the USA PATRIOT Act that does not include changes to address these concerns. We look forward to working with you in the coming months on these overdue reforms. So far, the signers are Reps. Conyers, Labrador, Poe, Amash, Gosar, McClintock, Deutch, Ribble, Capuano, Gohmert, Polis, Griffith, DeFazio, Johnson (GA), Massie, Duncan (SC), O'Rourke, Lofgren, Pierluisi, Moore, Huelskamp, Grisham, Welch, Mulvaney, Zinke, Salmon, Cicilline, Grayson, LaMalfa, Gabbard, McDermott, Gibson, Honda, Chu, DelBene, Jackson-Lee, Richmond, Issa, Yoho, Blum, Lee, Roe, Schakowsky, Moore, Pearce, Bobby Scott, Huffman, Pocan, Lowenthal, Nadler, Tonko. Is your representative on the list? If not, could you please give them a call and politely ask if they will sign on the letter to pledge that they will not vote for a “clean” reauthorization of Section 215? Let's ensure that our civil liberties are protected.